Spring cleaning isn't just limited to inside our homes. It's a great time to tidy up that yard as well. Maybe some hedges need to be trimmed down, or the flowers need to be revived, or perhaps it's something a bit bigger like removing a few unsightly trees that could pose a threat during hurricane season. Well if it's time to get rid of some trees, there's a lot more to it than yelling timber and finding a safe spot for the tree to fall. What happens when there's no more tree, but you're left with a big unsightly stump? Is it better to grind the stump away or remove it completely? Here the pros and cons will be weighed out to determine what's best for your yard and wallet. We'll start off first with grinding the stump away. This is generally the cheaper option as the price ranges between $100-$400 per stump. The price ranges depending on the size of the stump, it's age, the type of soil it's in, how it's roots are spread out, and of course the quantity of stumps being removed. With the grinding option, you're able to determine how much of the stump you want grinded away. This means you could leave some above ground, but you also have the option to have it as much as 12 inches underground during the grinding process. This way you aren't left with a huge gaping hole when the stump is gone. 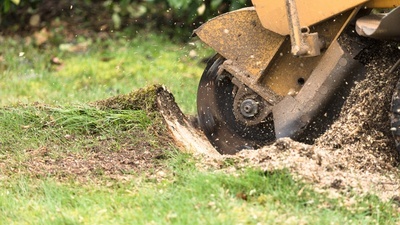 Stump grinding is also a much faster process and doesn't require a lot of labor, and what's leftover from the stump grinding can be used for mulch in other parts of the yard. The biggest downfall to stump grinding is that there is a chance of a tree resprouting at some point if the roots are still alive and active under the stump itself. Besides that, choosing to grind the stump away is a more eco-friendly choice and doesn't destroy anything around or under the once tall tree. If you choose to have the stump entirely removed, this is going to be a bit more work and cost a bit more money. The cost of a full stump removal ranges between $350-$700 per stump. That's a steep price difference, but with this process, you are left with no stump at all. This means there will be no chance of a resprout, but it does leave a sizeable unsightly hole in the ground that will need to be filled somehow. Replanting in the spot where the stump was removed is a breeze, and if the intentions were to replant a new tree in place of the older tree, then this is the perfect option for you. Complete stump removal is a very labor-intensive job and requires the use of professionals with the proper equipment to make sure the stump is completely uprooted and disposed of (the disposal is an extra fee, so keep that in mind). It is not the most environmentally friendly option as it does tear up quite a bit of the ground around the stump. When it comes down to it, it seems that stump grinding is the better option when it comes to just getting rid of unsightly and dangerous stumps throughout a yard. 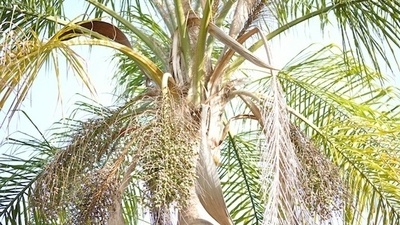 That is unless you want to replant in the place of a stump, which is when removing it completely is the better option. It all comes down to your personal needs and what your budget can handle, and you can get those stumps taken care of in no time! All American Tractor and Tree are experts at stump removal. Contact us today!